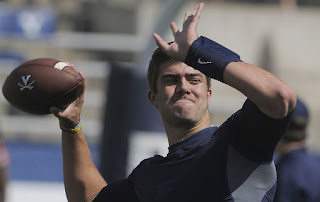 Lambert, who transferred to Georgia from Virginia during the offseson had been in competition for the starting QB job with Brice Ramsey, whom was the Dawgs' no. 2 QB last season, and Faton Bauta. Georgia will face ULM at home on Saturday, Sept. 5.